Chocolate, chocolate & more chocolate you will find here. 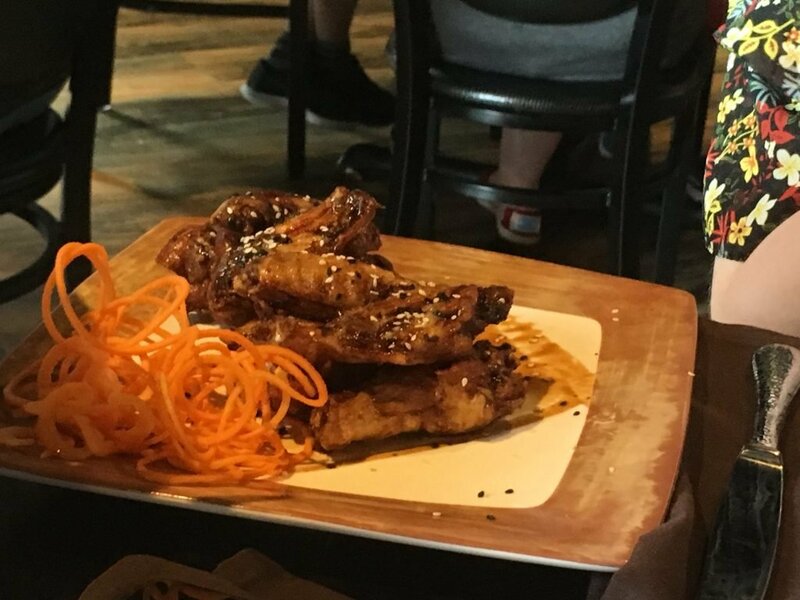 However, chocolate isn’t the only thing you will find at the Toothsome Chocolate Emporium & Savory Feast Kitchen. The restaurant has a menu that caters for a range of tastes including steak, seafood, flatbreads & burgers. Portions are big but the food is also delicious. 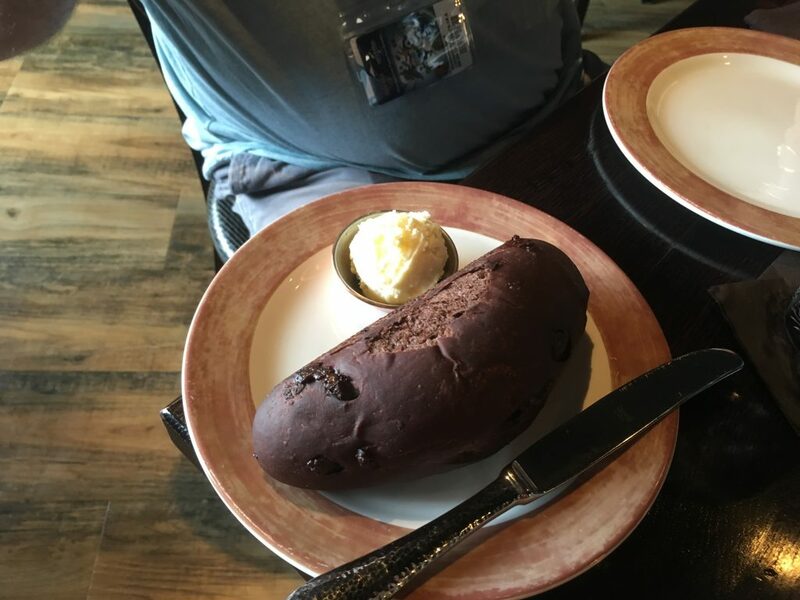 Chocolate beer & chocolate bread are new personal favourites. Our review contains a selection of photographs plus a video containing highlights from our previous visits. 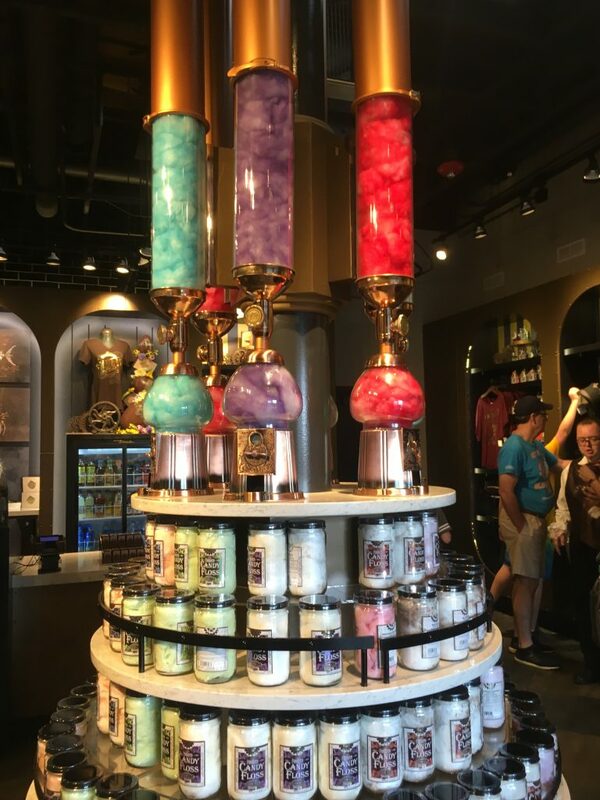 However, before you take your seat in the restaurant you will find the most impressive gift shop anywhere in Orlando. Chocolate is certainly the theme of the shop but it isn’t any regular sweet shop. 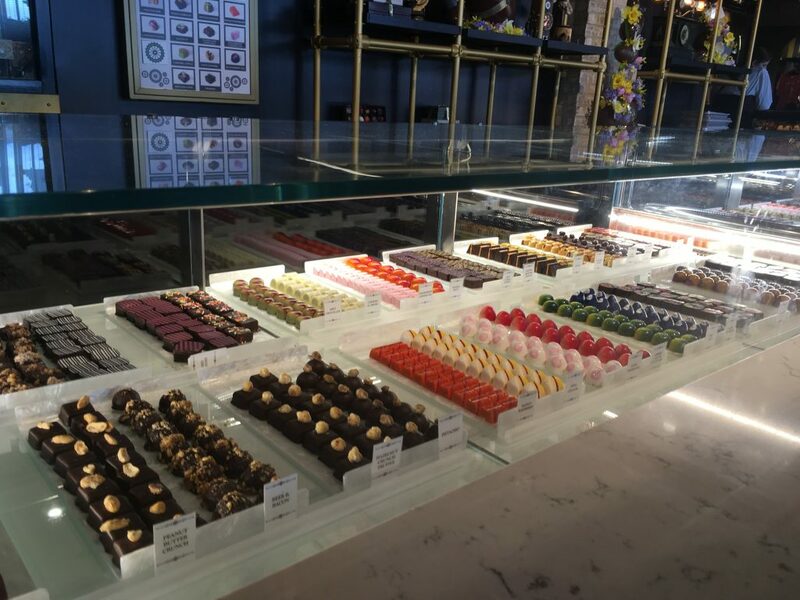 The luxury cakes, chocolates and macaroons you will find in the counters are more impressive than at any upmarket confectioners. The price of goods certainly exceeds those in regular them park shops. 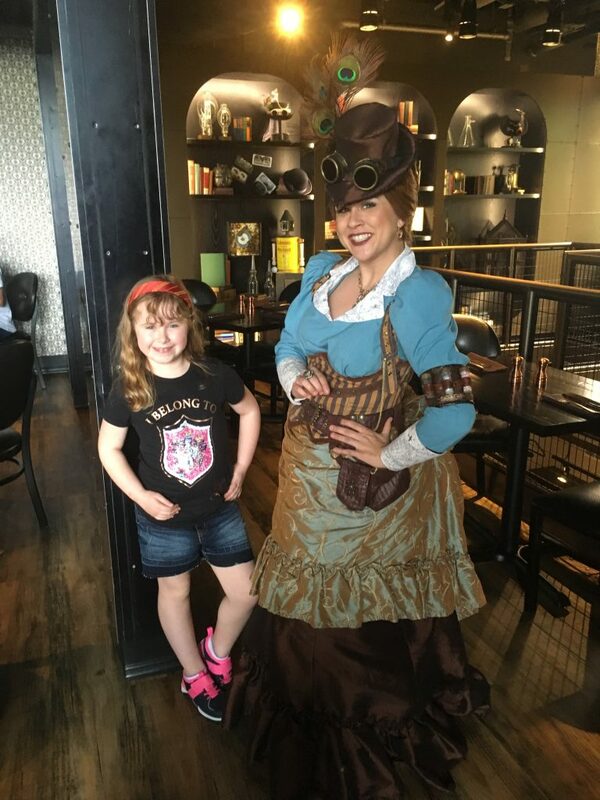 The Toothsome Chocolate Emporium is a 19th-century Steampunk inspired restaurant. 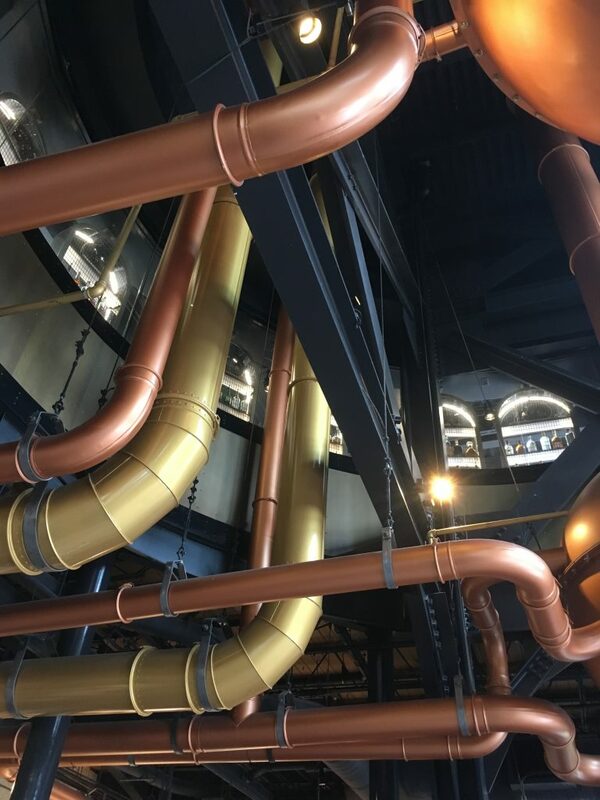 Everywhere you wander you will discover pipes & cogwheels running around the building plus large video screens showing chocolate being pumped around the building. Large chimneys and pipes are located outside the building as well. The theming is done very well and feels believable. The owner of the Chocolate Emporium Professor Doctor Penelope Tibeaux-Tinker Toothsome greets guests as you dine. Her assistant Jacques, a robot, also wanders around the restaurant. Whilst the food at the Toothsome Chocolate Emporium is excellent the big attractions are the sundaes and milkshakes. Desserts are massive but also very imaginative and well executed. However, you do not need to dine to buy a milkshake as there is a counter selling them at the entrance. Advance bookings are not possible at the restaurant but waits are usually not too long. 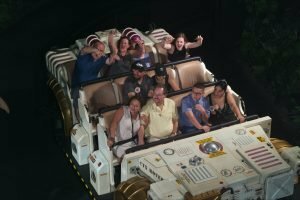 Annual pass holders can get a discount on their meals. 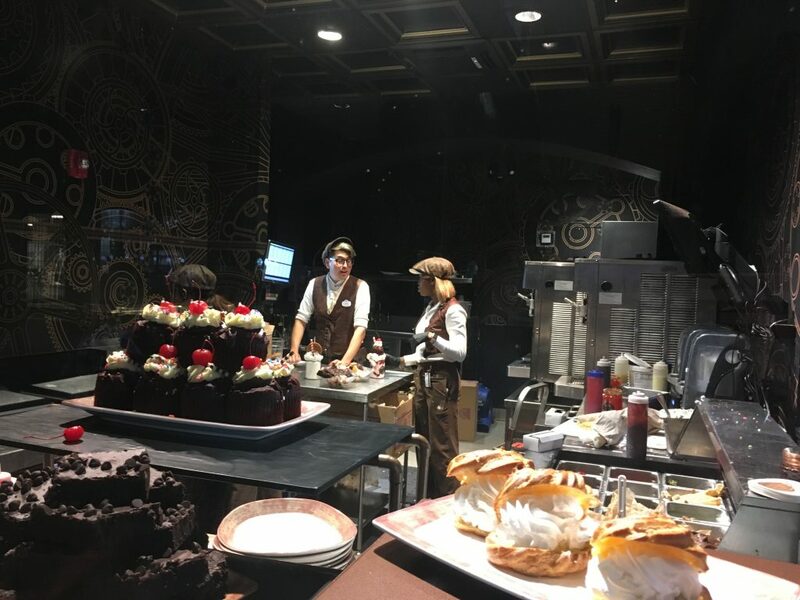 If you love chocolate the Toothsome Chocolate Emporium & Savory Feast Kitchen is probably your perfect restaurant. However, there is certainly plenty of other choices that ensure even those without a sweet tooth have a great time. The Steampunk Theming has been executed incredibly well & this is possibly one of the best themed restaurants in Orlando. In our opinion you should make this one of your must-do dining choices when visiting Orlando…you will not regret it. 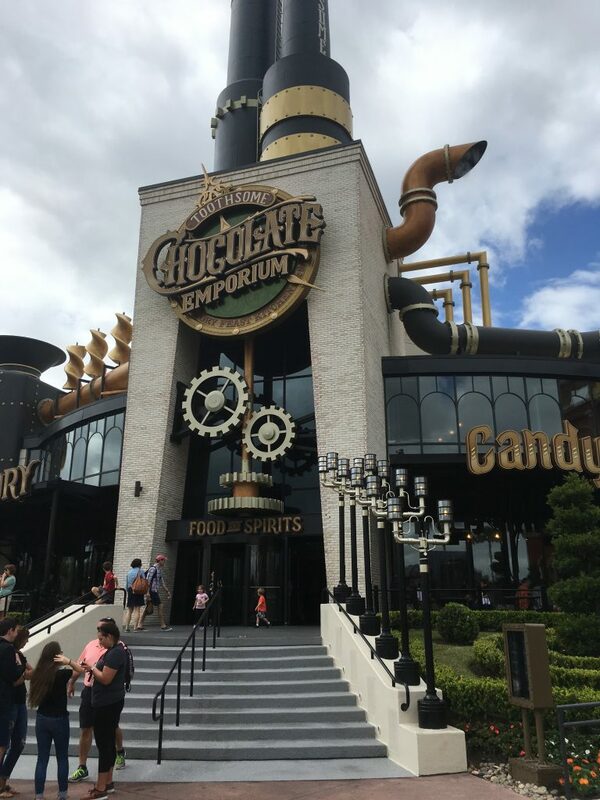 Our video shows highlights from recent visits to the Toothsome Chocolate Emporium.